Iran's Deputy Foreign Minister says 2015 nuclear deal must succeed before other issues can be discussed. The West must ensure the Iran 2015 nuclear deal succeeds before trying to negotiate other issues, Iran's Deputy Foreign Minister said on Thursday, according to Reuters. 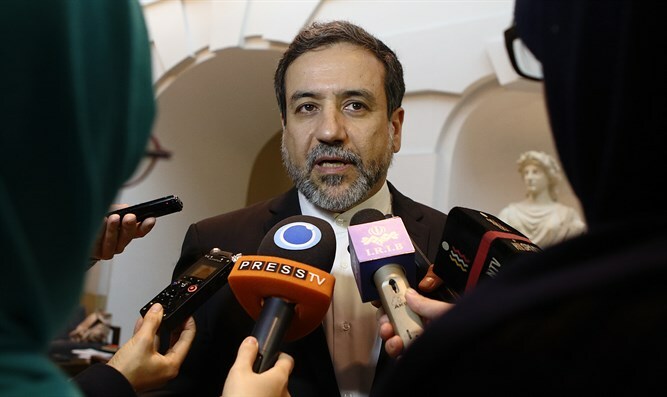 The comments by Abbas Araqchi are a rare public suggestion that Tehran could discuss matters such as its regional activities or missile program with world powers. “Now they ask Iran to enter discussions on other issues. Our answer is clear: Make the (deal) a successful experience and then we discuss other issues,” Araqchi was quoted as having told a conference in Paris, referring to the United States and its European allies. Araqchi added that the Iran policy of U.S. President Donald Trump’s administration was “destructive” and violated the terms of the nuclear deal with six world powers. Trump recently decided to extend a waiver on nuclear sanctions that were imposed on Iran. However, he said it would be the last time he will do so and ordered European allies and Congress to work with him to fix “the disastrous flaws” in the 2015 deal or Washington would withdraw. Britain, France and Germany are now working on a plan to satisfy Trump by addressing Iran’s ballistic missile tests and its regional influence while preserving the 2015 accord. Western countries say the tests are a violation of the UN resolution enshrining the 2015 nuclear deal. Iran denies it is in violation of any UN resolutions. Araqchi dismissed in a conversation with Reuters Western assertions that Iran’s regional activities are destabilizing. He accused the United States, Israel and Saudi Arabia of fomenting tensions in the Middle East. Earlier this week, Iran’s President Hassan Rouhani stressed that his country will not renegotiate the 2015 nuclear deal and also rejected any negotiation over Iran's missile program.